Call 715-804-0359 to schedule your first appointment. Many people view hearing loss as inevitable as they age, but you don’t have to simply live with the consequences. While it is impossible to restore natural hearing, there are solutions available to vastly improve your speech and sound recognition and make your daily life easier. Here at Miracle-Ear®, we are proud to supply the solutions you need to ensure you never miss out on life’s important moments. Visit our local center to browse our selection of hearing aids in Antigo, WI. As the #1 most recognized hearing aid brands in the United States, our company continually strives to improve our solutions. Speak to one of our Hearing Care Specialists to learn about recent advancements like our GENIUS™ Technology and ClearVation Technology, as well as the various features available on each of our products. Whether you see us for a free hearing test, to get basic repair services, or to discover your ideal hearing aid model, you can always expect compassionate professionalism from our Hearing Care Specialists. We always pay careful attention to detail to ensure you have a productive experience with us and leave our center feeling empowered. Our goal is to ensure you know how to use your hearing solution to its fullest capabilities. Contact us to learn more about the advantages of our innovative hearing aids. We are proud to serve Antigo, Wisconsin, and the surrounding communities. Danalee has 2 years of experience as a Hearing Instrument Specialist. 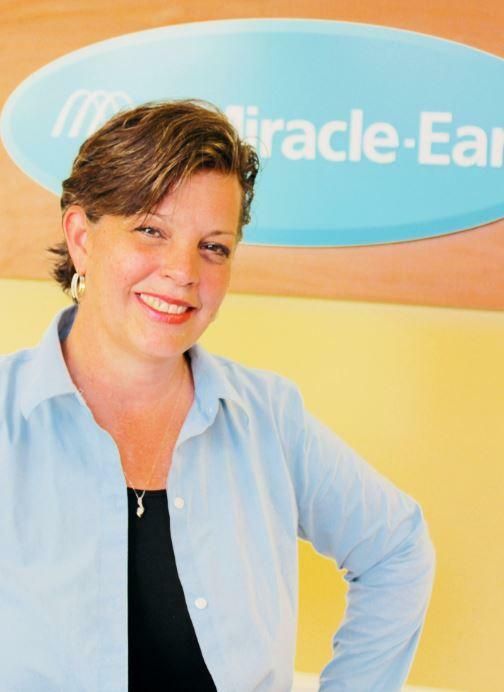 Danalee�s favorite part of working at Miracle-Ear is offering hope, solid solutions, and a listening ear to allow you to navigate comfortably through your options to better hearing. Danalee is grateful to work in such a rewarding career field and look forward to helping you hear a better day!